TAMPA, Fla. — Not long ago, before rookie catcher Gary Sanchez became an overnight sensation for the Yankees, there were questions about his future. In June 2014, Sanchez was suspended a handful of games for undisclosed team rule violations. At the time, Sanchez's numbers — a .251 batting average and seven homers — and his so-so defense might have been fine for other 21-year-olds at Double-A. But Sanchez, given a $3 million signing bonus at age 16, had already been a top Yankees prospect for years and was subject to the extra scrutiny that comes with that recognition. He turned it around and is off to a historic start, becoming the fastest player ever to 19 career home runs on Wednesday. The Yankees think hyped shortstop prospect Jorge Mateo will, too, and for similar reasons. "If you look back about three years ago, Gary Sanchez — you could be saying the same things about Jorge Mateo," Yankees vice president of player development Gary Denbo told NJ Advance Media at the team's training complex on Thursday. MLB.com ranks Mateo, 21, the Yankees' third-best prospect behind No. 1 Clint Frazier, an outfielder, and 19-year-old shortstop Gleyber Torres. Before the season, MLB.com said Mateo possessed the best speed in the minors after he stole an insane 82 bases last year. He also hit a formidable .278 with a .345 on-base percentage and showed off a strong arm while spending most of the year at Low-A Charleston before a brief look at High-A Tampa. "Last year would have been hard to duplicate," Denbo said. This season, Mateo hit .254 with eight homes and a .685 OPS while stealing 36 bases at High-A. He was on fire early, hitting .299 through April and May before watching his batting average plummet to .225 the rest of the way. He was also suspended for two weeks in early July for violating team rules. A report said Mateo was banned for arguing with team officials and called for the organization to release another player to make room for him at a higher minor-league level. But a source at the time told NJ Advance Media Mateo that never happened and that he was actually suspended for an off-the-field issue the Yankees had already warned him about. Denbo was upbeat when discussing Mateo. He said he's just like any talented young player, looking to adjust to a new league and grow as a person at the same time. "He's just going through some growing pains," Denbo said. "He has to learn how to be a professional and go out there and compete everyday and once he gets that to go along with his tools he's going to be an exceptional player." Denbo was asked if he believed Mateo needed to mature. "I feel like all of our players need to mature," Denbo said. "He's a young man. Coming from the Dominican Republic, all of our players are going through a process of how to be educated to be a pro and that includes how to prepare, how to compete, how to behave on and off the field. It's not just what happens on the field to be a New York Yankee. For us, it's things that go one in the clubhouse and things that go on off the field are just as important. We've got to send guys up that our major league staff feels comfortable lift, be a good teammate, be a professional, know how to prepare and compete everyday and how to bring their best effort everyday and that's something that Mateo is going through this year." Last edited by BigGuy on Mon Sep 26, 2016 8:31 pm, edited 1 time in total. 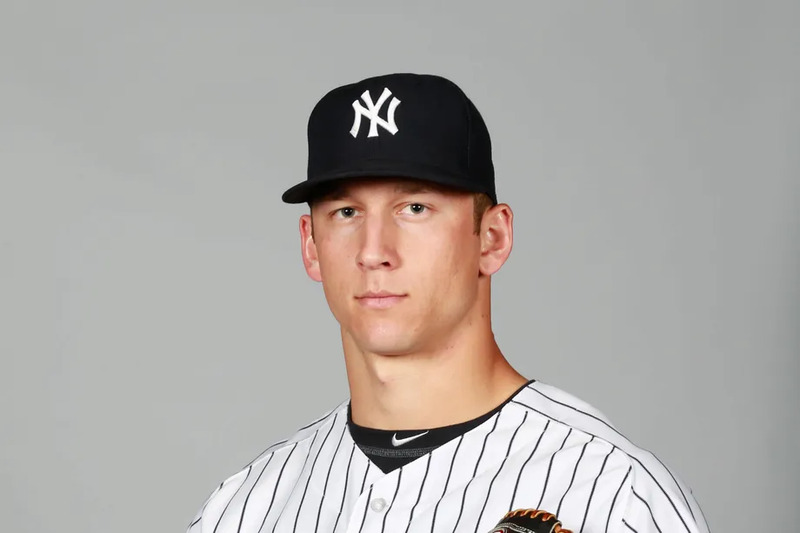 Right-hander James Kaprielian has been added to the Scottsdale Scorpions roster, according to the Arizona Fall League transactions page. The Yankees had one open pitching spot and were reportedly hoping to use it on Kaprielian, who has missed almost the entire season with an flexor tendon strain. It’s time to pay attention to these guys. After their midseason trades, the Yankees have one of the best farm systems in all of baseball. Even outside the top 30 or so prospects that many know about and have been following, there are other players who are just making a name for themselves. In 2016, the Yankees had eight individuals put themselves on the map with the seasons they had. As the team’s No. 13 prospect, you would think it hard to really open any eyes, but Adams completely re-invented himself in 2016. Drafted as a reliever, he transition to the rotation in 2016 after showing heightened velocity and better stuff as a pro. Adams also maintained impeccable control on his way to one of the more successful reliever-to-starter transitions the Yankees have instigated. At the age of 21, Adams did well in Double-A and it could only be a matter of time before he makes an impact on the major league level. As a former 36th rounder, it’s easy to be ignored by players with greater upside, but after three years of solid pitching, it’s time to pay attention to Cortes. He is more of a finesse lefty than anything else, so he faces a real test in the upper minors next year that will clue us into his future role. There’s more than a real chance he could end up as the next Vidal Nuno, though even he proved to have his value. 2017 will be key for him. Another finesse lefty and reliever turned starter, Enns proved to be effective at both Double-A and Triple-A this year. He’s been around for a few years now and as a result he’ll be eligible for the Rule 5 Draft again this winter. While he’s gotten by before, his 2016 season could make him an easy pickup for another team looking for rotation depth. It’s hard to see how he will transition to the big leagues, but he should get a long look this spring as he heads into his age-26 season. Not the most eye-opening season on this list in terms of overall results, but an impressive power surge has helped Gittens get some much-needed attention. At 22, he’s a little old for Low-A Charleston, but he should be the starting first baseman in Tampa next year. 56 walks on the season is also a nice thing to have for a first baseman who won’t hit for average or have much speed. Gittens could give the Yankees another impressive first base prospect. He’s been around since 2008, and in that time he’s looked mostly like organizational depth, but at the age of 26 he found his power stroke and showed the Yankees that he might have some value after all. Higashioka has always been a good defensive catcher, but his bat has been anemic. It’s hard to tell where he fits in on the Yankees, especially with the emergence of Gary Sanchez and Brian McCann sticking around. He could end up as Triple-A depth as a replacement for the out-of-options Austin Romine. Taken in the minor league portion of the Rule 5 Draft from the Arizona Diamondbacks over the winter, Ramirez had an outstanding first year with his new organization. He began his career as a position player but quickly transitioned to the mound and has found success. Ramirez took things to another level this year as a 22-year-old in Charleston and Tampa. He’s already been a terrific victory for the Yankees scouting team, but depending on what he can do from here, he can become an even more impressive find. The latest reliever to make the transition to the rotation, Reeves showed real promise powered mostly by an awkward delivery that helped him add deception to his pitches. Hopefully he gets another chance in the rotation, but either way he’s pushed himself into the spotlight as he heads into the upper levels of the system. He might not be a highly-regarded reliever, but he showed this year that he can get the job done. Asked to pitch multiple innings in the upper minors, Wotherspoon proved to be up to the task and he could be a major league option for a team desperate for relief help. 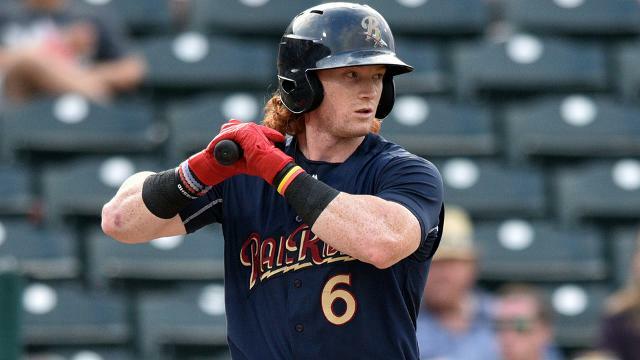 When Clint Frazier came off the disabled list on Sept. 5 after dealing with a nagging hamstring strain, he realized what was really wrong. The time off enabled him to figure out why he was having such a difficult time adjusting to a new organization and a new team. "I was thinking to myself, 'I've let other people make me feel pressure," he recalled. "And that's never happened before, I've never felt pressure." Before it got to that point, Frazier had been climbing quickly through the Indians system as the club's top prospect. The outfielder made his Triple-A debut with Columbus just three years after Cleveland selected him fifth overall in the 2013 Draft. But before Frazier could get adjusted to the new level, the Indians traded him and three pitchers to the Yankees for big league reliever Andrew Miller right before the trade deadline. "I was homegrown through the Indians and to be traded was something I didn't know how to handle at first," he said. Frazier was immediately deemed the Yankees' new top prospect. He cut his hair; he donned the pinstripes. His tools were graded above-average and his potential was set as high as a second coming of Derek Jeter. Only one thing was left for him to do -- produce. "The media hyped me up," he said, although honored by the high rankings. "A lot of things were said about me that didn't come out of my mouth and came out of some pretty big-named people that built a lot of pressure on my shoulders to try to live up to it." So Frazier went 1-for-12 to start his career in the organization. His new manager, Al Pedrique, and hitting coach Tom Wilson could tell the pressure was weighing on Triple-A Scranton/Wilkes-Barre's new No. 2 hitter. "He was searching and he'll tell you himself he was struggling when he first got traded over here and wasn't swinging great," Wilson said. "I think he came over here and wanted to make a good impression and tried to do too much." Frazier started to get acclimated to the change, going 8-for-21 (.381) over his next five games with the RailRiders. But even with the potential of getting back on track, the hype started becoming diluted with criticism. "You go through that feeling of that you have weight on your shoulders the whole time," MLB.com's No. 16 overall prospect said. "Every time I stepped into the box, I was trying to impress people." Before hitting the DL on Aug. 28, Frazier ended the month with a .229 average, two homers and six RBIs in 24 games after the trade. Pedrique knew his charge needed an emotional boost. "I just told him, I said, 'Listen, no matter how good or how bad you play this year, that's not going to change how we feel about you,'" the manager recalled. "'You have the talent, you're only 21 and you don't see too many 21-year-olds playing Triple-A. So you need to go out there and have fun, do whatever you can to relax and play the game the way you know how to play.'" Frazier stepped back and realized he didn't need to prove himself to teammates, fans or critics. Then the right-handed hitter homered in his first at-bat off the disabled list, a day before he turned 22 on Sept. 6. "It was a mental grind. I've never gone through failure like that before, which is a good thing for me. I'm going to struggle at some point in my career, and for me to go through the struggle like I did this bad this year was good for me," Frazier said. "I know what I'm capable of doing and I know what I have to do moving forward to make sure that I don't stay in a slump this long [again]." While his stats weren't exceptional in the postseason -- seven hits and one RBI in eight games -- something really had changed in Frazier, and his coaches could see the change at the plate. "We've just really been hounding fundamentals in his swing, getting his lower half under control," Wilson said. "He's getting it. His at-bats over the last 10 days [of the playoffs], his results aren't always there, but what he's doing is correct and it's getting better." Another boost for Frazier came when Scranton/Wilkes-Barre traveled to Gwinnett for Games 3 and 4 of the Governors' Cup Finals. Ten miles from his hometown of Loganville, Georgia, the 22-year-old got to hoist the Cup in front of friends, family and the guys who were no longer new teammates. After celebrating one title, Frazier and the RailRiders went to Memphis to play in the Triple-A National Championship. Four days after clinching the Governors' Cup, the outfielder was back in the cages for workout day. Following his regularly scheduled time in the batting cage, Frazier worked his way back to the plate. "I thought you finished two rounds ago?" Scranton/Wilkes-Barre bullpen coach Tommy Phelps asked. "Last one," Frazier responded like a kid reaching for one more piece of candy. "I wanted to finish on a strong note," he said after batting practice was over. "I have a lot to work on. Any time I have a chance to work on it, I don't want to walk out of that cage until I feel like I've accomplished what I have to do that day. I couldn't keep him around all day, or else I would." Beyond honing his swing and mechanics, Wilson believes that determination to get better and to be the best player on the field is what will help Frazier ultimately succeed at that final level. The right-handed hitter will get an opportunity to improve in the Yankees' instructional league this fall. Wilson hopes Frazier will improve his routes and breaks in the outfield, but the biggest reason for going to instructs will be so the Yankees can "get to know Clint Frazier" after a frenzied first two months together. "I'm in a different situation, new team, younger guy in the league and I'm at home now," he said. "I finally feel like I've settled in with this team and like I'm supposed to be here. I feel good going into next year." A few days ago the crew at Baseball America started their annual look at the top 20 prospects in each minor league for the 2016 season. So far they’ve made their way through the various short season leagues — at least the ones relevant to the Yankees — which include the Gulf Coast League, Appalachian League, and NY-Penn League. The Yankees have two GCL teams plus one each in the Appy League and NYPL. Starting with the Appy League (subs. req’d), Blue Jays OF Vladimir Guerrero Jr. claimed the top spot and was followed by two Yankees farmhands: OF Blake Rutherford and OF Estevan Florial are Nos. 2 and 3, respectively. In the chat, Hudson Belinsky singled out 3B Dermis Garcia, SS Wilkerman Garcia, SS Oswaldo Cabrera, OF Leonardo Molina, OF Isiah Gilliam, and C Donny Sands as others who received consideration. RHP Rafael Lara was mentioned as a sleeper. “Rutherford controls at-bats and has a sound understanding of which pitches he can drive. His swing is geared more for line drives than home runs, and he hits lots of hard doubles from gap to gap, projecting for more over-the-fence power as he matures,” said the write-up. They also note Rutherford has very good outfield instincts but may lack the straight line speed needed to remain in center field long-term. As for Florial, the write-up says he “wowed evaluators with his raw tools this summer,” particularly his “plus bat speed … giving him plus-plus raw power in batting practice.” Florial also has true center field defensive skills. The biggest red flag is a very aggressive swing that led to a 29.1% strikeout rate. “When he does connect, however, the ball explodes off his bat,” added the scouting report. The GCL prospects list (subs. req’d) was, predictably, lead by Phillies OF Mickey Moniak, the first overall pick in this summer’s draft. Tigers RHP Matt Manning and Nationals OF Juan Soto round out the top three. SS Diego Castillo is the only Yankees prospect on the list and he ranked 19th. Ben Badler said 3B Nelson Gomez has huge raw power in the chat, but also “the approach he showed this year is worrisome,” which is why he didn’t make the top 20. The Yankees did not have a single player on the NYPL prospects list (subs. req’d), which isn’t surprising. The Staten Island Yankees weren’t a particularly deep prospect team this year. 2B Nick Solak was by far the best healthy prospect on the team, and he’s didn’t make the cut in a league loaded with first round picks and high profile international signees. Athletics LHP A.J. Puk, the sixth pick in this year’s draft, was the league’s top prospect. You can see the complete top 20 lists without a subscription right here. You just can’t read the scouting reports. I’m not sure what the posting schedule is, but the next list relevant to the Yankees is the Low-A South Atlantic League. SS Hoy Jun Park and RHP Dillon Tate are the Yankees prospects most likely to appear on the list. Others like C Luis Torrens and RHP Domingo Acevedo won’t meet the playing time criteria and aren’t eligible. We’ve known about TINSTAAPP for a long time now, but just as it looks safe to believe in a pitching prospect, we are reminded that There Is No Such Thing As A Pitching Prospect. James Kaprielian hasn’t pitched since April, and now it’s questionable whether or not he will pitch again in 2016. Drafted as an advanced starting pitcher last year, it was believed that Kaprielian would be a major league pitcher before too long. Given the team’s thin pitching depth and the lack of game-changing talent on the free agent market, the development of Kaprielian seemed like an immediate and important part of the Yankees’ future. After a dominant beginning to the 2016 season over just three starts, Kaprielian was shut down with a mysterious elbow injury. The hope was that he wouldn’t miss too much time, but he hasn’t been seen since. Then there was the hope he could play in Instructional League, but he wasn’t included on the roster (though he is still rehabbing). Then it was the Arizona Fall League. He would have avoided surgery, could get back on the mound for a bit, and then call it a season. He was added to the roster, taken back off it, and now he’s back on it; his status still up in the air at this point. We saw the same thing a year ago with Ian Clarkin. Another promising starting pitcher who could have been an important part of the team’s future, but a mysterious lingering issue kept him out for the entire 2015 season. He made it back for the AFL and pitched this season, but the hype and the promise were somewhat faded. Then there were promising pitchers Vicente Campos and Domingo German, who came to the organization with a lot of promise, but almost immediately fell victim to injury. Developing pitchers is hard, because even after you figure out the magic phrase to unlock their hidden talent, there’s always the risk that they will get hurt, wear down, or never be the same. More than any other player on the field, pitchers are fragile and the slightest tweak can be the difference between a long, dominant career and a career-altering injury. Even when pitchers do work out, when TINSTAAPP is proven wrong, it can fall apart before you know it. The Mets experienced unprecedented success in developing pitching prospects with Matt Harvey, Noah Syndergaard, Jacob deGrom, and Steven Matz coming together to create a powerful rotation of internally developed talent. However, as soon as it looked like they had accomplished the impossible, they were all mowed down with injuries and surgeries and bone spurs. As if they had outrun inevitability for too long, and now the nature of baseball had caught up with them. The moral of the story we have learned this year is Never Pitch. You end up hurt in new inventive ways and your career takes an unfortunate turn. We wonder why the Yankees are so bad at developing pitchers, but it’s important to remember just how hard it is to be a pitcher, even if you do everything right. The Yankees are bad at developing pitchers, but so is everyone until someone works out, and that almost never happens when you look at the percentages. A lot of things can go wrong, and we have seen it happen with Kaprielian, and Ian Clarkin, and any number of others. Hopefully things will work out soon with someone, but we can’t really be sure until it happens. Luis Severino looked great last year and was terrible in 2016. James Kaprielian looked like a sure thing until he wasn’t, and the Mets rotation was unstoppable until it wasn’t. We like to think that there is a secret key to unlock success in modern baseball, but it’s still just a guessing game, much like it has always been. Maybe we have more information available these days, but in the end it all comes down to chance. For as many pitching prospects that have failed, there are five more ready to take his place as the next big thing. The Yankees will always have someone next in line, and if Kaprielian doesn’t work out, there will be someone else to turn to. We will see how things work out for him this fall and beyond, but it’s a harrowing realization when you have to remember that There Is No Such Thing As A Pitching Prospect. Third base prospect Miguel Andujar cracked the Double-A Trenton roster at just 21 years of age. Is the 2011 international signee developing into a solid sleeper prospect? In a division like the AL East, it is easy to be envious of other teams with elite third basemen like Josh Donaldson and Manny Machado. Since 2013 first round pick Eric Jagielo was traded to the Reds, Miguel Andujar appears to be the most viable in-house long-term option for the Yankees at the hot corner. Andujar signed out of the Dominican Republic in 2011 for $700,000. Keep in mind, he was 16 at the time. So while a signing bonus of that magnitude might not seem like much compared to domestic players selected in first round of the MLB Draft, the Yankees clearly thought highly of the third baseman. The 21-year old started the season in High-A Tampa for the second straight year, after struggling in the Florida State League in 2015. Offensively, he did everything the Yankees could want him to do. In 58 games, he had a .283/.343/.474 slash line, in a year where he was still almost two years younger than the average FSL player. Perhaps even more impressive was the fact that he only struck out 12% of the time, a promising stat when combined with his increased power. A solid isolated power of .191 along with a low strikeout rate is a sabermetrician’s dream for a young minor league prospect. However, Andujar went on to struggle at Double-A Trenton. In 72 games, he put up a .266/.323/.358 slash line with only two home runs. His power disappeared, but he maintained his ability to make contact, with a 13.2% strikeout rate. Another downside to his 2016 campaign is that he did not steal bases as effectively as before. In 2015, he had 12 steals in 13 chances, compared to three swiped bags and four times caught stealing this year. Although, this could easily be attributed to Andujar bulking up in the offseason, which would also help explain his increased power numbers at High-A. The next step for Andujar will be to consistently bring out his raw power in games at the Double-A level. At just 21 years old, he will be one of the younger players on the roster, so he has plenty of time to figure things out. Having 319 plate appearances in the Eastern League before turning 22 provides valuable experience for any prospect, so it will be interesting to see how he moves forward in 2017. Chase Headley currently has two years left on his deal, which means Miguel Andujar’s rise to the big leagues could easily coincide with the end of Headley’s contract. A certain Maryland-based, A-Rod idolizing third baseman is also set to be a free agent after the 2018 season, but that doesn’t mean Miguel Andujar is undeserving of the increasing hype he is getting. Hopefully, he can build on his proven track record of adjusting to higher levels of pitching with time. Data is courtesy of FanGraphs and Baseball Reference. Acevedo was one of the more hyped names early in 2016, so how did he fare? 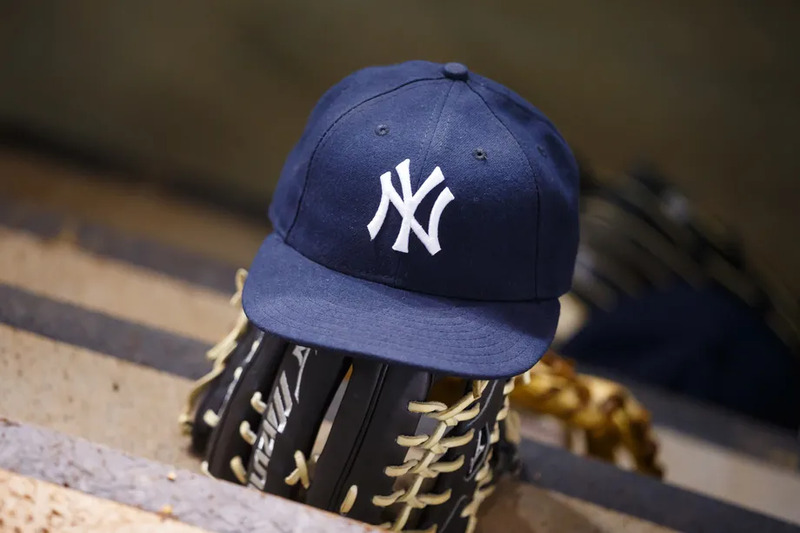 Earlier this year, there was a lot of talk about Domingo Acevedo potentially being a breakout player in the Yankees' system. It wasn't hard to see why, even before farm director Gary Denbo mentioned that he could move quickly. 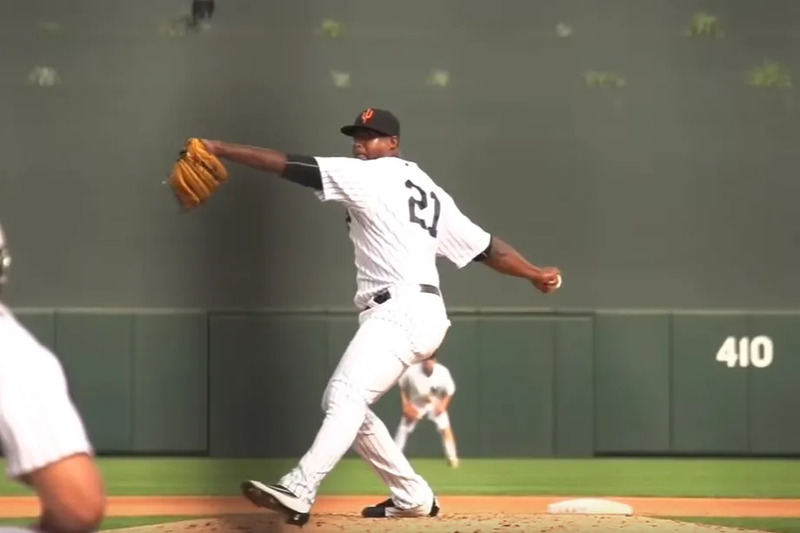 A starter whose fastball rises into the low-100s at its best and pairs with a nice changeup and developing slider, Acevedo has the makings of an ace. While some evaluators were more bearish on him, Baseball America ranked him number five in the Yankees’ system entering 2016, better than any starter except 2015’s top draft pick, James Kaprielian. Acevedo is a little older than most prospects since he didn't play baseball until he was 16 and was not signed until 19, but the right-hander should not be overlooked (at 6'7", it's hard to do that anyway). That was a lot of hype for a man who had one start above short-season ball prior to 2016. Outside of Acevedo's health, the results ended up being pretty good. He flat-out dominated in Low-A Charleston over eight starts with a 1.90 ERA, 0.96 WHIP, and 48 strikeouts in 42 2/3 innings. That success led to a June promotion to High-A Tampa, where he continued to pitch well despite a few more hits and walks here and there. The final product was a 3.22 ERA, a 9.7 K/9, and a 1.27 WHIP in 10 starts. The Yankees liked it enough to make plans to promote him again to Double-A Trenton in early August. Unfortunately, those plans could not materialize due to the only major bugaboo of Acevedo's 2016. He was able to make 18 starts, but he still missed a decent chunk of time, hitting the DL on three separate occasions. Back with Charleston, he missed a month due to a lower-body injury, and after consistently making starts for two months as he was promoted, he returned to the DL in early August with a back issue. He missed two weeks, returned for one more start, and then was shut down again, albeit close to his innings limit (he had never thrown more than 50 innings in a season before due to short-season ball and another injury). While it would have been nice to see Acevedo get a chance at Double-A hitters if not for the injuries, he should receive that shot early next year. He just has to keep his health, which granted will probably never be too easy given his big body. At the very least, his big body means that he has a lot of power in the tank to propel those pitches. It’s possible that the combination of injuries and up-and-down command despite fine control could make him a reliever in the end, but the Yankees have good reason to really like what Acevedo brings to the table. Keep an eye on him in 2017.